Was Pink Floyd and education futurist? Think of how education has been delivered for the past 130 years. Information was not readily available. If you wanted to be informed, you would have to go to a public library, pick up an encyclopedia, or be “taught” information by university scholars deemed “teachers”. Fast-forward to today’s environment. Information is readily available and students can Google information faster than the teacher can lecture it. So is the lecture important? Do you think the traditional industrial aged teacher, who was the keeper of information, will be successful in an online environment? The biggest change (or challenge) for online teachers is that they will transform from the “sage on the stage” (givers of information) to the “guide on the side” (mentors of information). Online learning is truly student-centered and teachers will need to help students with their questioning, problem solving, and investigation skills while individualizing and differentiating their instruction for every student. Since online teaching will focus on the needs of the students, it will be very important to have multiple ways to assess them. When I say asses – I do not mean TEST! (traditional t/f, multiple choice tests) Too often teachers use the “test” method as the only measure and evaluation of student’s learning. Learning comes in multiple facets so we need multiple ways to obtain students personal growth. Assessments need to be viewed as a teaching tools and learning tools. Assessments can be reflective and personal (like blogs, journaling), can be knowledge based and measured (quizzes, tests, pre/post courses surveys), and they can be collaborative (like skype and wikis). All assessments must be based on the courses objectives and final outcomes! Teachers will also learn from these assessments. Are my course materials effective? Does content to be further enhanced or developed? Teachers need to be open-minded and accept the learning and feedback they receive from their students. It can be very empowering to the students that we are learning from them, just as they learn from us. So, please review Pink Floyd’s video “Another Brick in the Wall”. How does it coincide with the current problems in brick and mortar classrooms? How will online learning tear down these bricks in the wall? I have stumbled upon a VERY cool tool called Glogster! The educational potential for this site web2.0 site tremendous! It allows students and teachers to build posters on virtually any topic! YThese digital posters allow students to build and interact with videos, pictures, clipart, text, and sound. I actually utilized it while developing the framework for a Podcasting class that I am thinking about developing online. These are the following tools I will use throughout the course. I will tell you that I have spent oodles of time building this course and I would love to hear your feedback! Check it out by clicking my Glogster Podcasting site! You will need to have your screensize at minimum of 1024 x 728 and you will have to scroll down to view the entire page. What do you think? I cant tell you how many times I have seen students working on the old fashioned collages by clipping newspaper or magazine pictures out. Think of how many trees will be saved by using this site AND how much funs students can have building them. They even have a Glogster education site that just recently opened! While I was reading chapter 5 of Wikinomics (in one class) and learning about constructivism and Blooms Taxonomy (in another class), I stumbled upon a conversation of a consortium in SE MN that is looking at developing a charter school due to declining enrollment. One of the links that was included, to make the case, was a video of a charter school in Minnesota that is totally project based. There are no schedules, there are no bells. Students are completely in charge of their learning! Their adviser (aka teacher) is a learning resource consultant and provides individual two way communication with the students vs the sage on the stage one way communication of the traditional industrial aged classroom. The schools are governed by majority of teachers vs administrators and traditional school boards. The classroom pedagogy as you and I know it, is completely thrown out the window. The customers, the students, are also co-innovators and creators of their curriculum. They are required to develop projects based on the standards of our state. They learn about things that are meaningful to them. They are creative and engaged with their learning environment because the work they have chosen is authentic and relative to their personal goals and aspirations. Isnt it time we rethink the way we do school business and deliver education? At what point will we no longer have a choice? Due to the digital age, and the fact that information is increasing at a very rapid rate, it is becoming very easy for students to copy and paste there way through assignments. It is increasingly important for instructors to not only be able to CATCH the plagiarists but also develop lessons and activities that promote authentic learning. To find plagiarism takes a little detective work. Has the skill level of the student’s writing suddenly changed midway through the research? Where they go from an 8th grade writing level to doctorate level? Has the formatting suddenly changed in the document. From Times New Roman font to Arial? Has the context of the research changed suddenly? If you answer yes to any of the questions, you may have a plaigarist on your hands. So how do you prove it? The easiest way is to take the phrase you suspect and put quotes on both sides and Google it. If you get some “hits” then you may have the proof you need. I also found a cool tool, called the Plagiarism Checker that allows you to copy/paste and search for plagiarism in entire works. I tested it and it works pretty good! What is a teacher to do? I have found a list (here) that has quite a few ideas on how to plagiarize proof assignments. However, after learning about Bloom’s Taxonomy, I feel it is even more important to develop assignments and activities that encourage deep learning. As you look at the Bloom pyramid below, the lower level – knowledge – requires the lowest level of thinking skills. As you look at the verbs for the lowest level knowledge level (according to Bloom) how easy would it be to copy/paste answers for assignments and activities? Now look at the verbs for evaluation. Those verbs would require a deeper learning, where students would have to use information literacy skills to produce an answer. Knowledge: arrange, define, duplicate, label, list, memorize, name, order, recognize, relate, recall, repeat, reproduce state. Evaluation: appraise, argue, assess, attach, choose compare, defend estimate, judge, predict, rate, core, select, support, value, evaluate. To make a long story short, if your assignments only require a surface level of answers and your assessments only require a surface level of answers – do you think your students really comprehend the content you are teaching? For the past two weeks I have been privileged to work with two individuals, whom I have never met, on a collaborative project to build an assessment toolbox using Googledocs. We were each required to research an assessment tool and then combine the writings into one document – or toolbox. Even though I did learn about Elluminate Live! – To me the real learning occurred by participating in this activity. With individual projects, you are in charge of everything. What does it look like? What will the content have? What will the timelines be? With the group project everyone has their own ideas and perspectives. What was even more interesting was taking the collaboration project online. F2F sessions are easy. By the end of the meeting, you can usually agree to some of the basic underlying questions. However, in an online environment, where people don’t have the same schedules, little things can be somewhat difficult to agree to. Not because of a clash of opinions, but because of time it takes to respond to the email or discussion thread. It seemed that we were never really online at the same time. Even though I believe that this may be due to some limitations in D2L, it does represent a challenge to a collaborative online project. I have been very satisfied with our team’s efforts. I have never participated in a Googledoc collaboration quite so large. (meaning the number of pages – linked together like a website ) Previous use was more of a brainstorm activity on 1 page, usually after a f2f meeting. I am pretty impressed with the tool and would like to encourage teachers and students to use it in collaborative projects. Looking back, I wish we would have time to play with the other tools – presentation, spreadsheet, and forms. I am sure Melissa and Dora would agree that there was a incredible amount of time spent on this project and it is nice to have it behind us. One other thing I wish we could have dabbled in was the templates. There are some VERY professional and PRETTY templates that might have worked great as well. What matters most for me is I learned a ton! I see Google Docs as a huge benefit in collaborative work for online students. Which do you prefer teacher-centered or Learner-centered classrooms? Why? 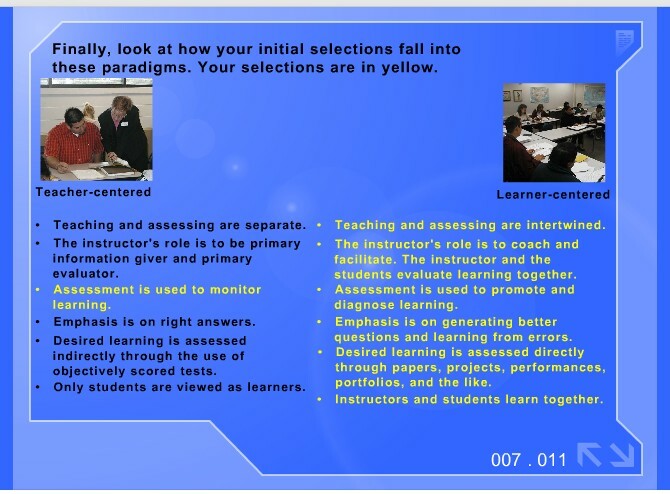 Personally I enjoy learner -centered classrooms. As the student, I am in charge of my learning. As a facilitator I believe that students have more opportunities to be innovative by personalizing the meaning of the content/curriculum. For our first assignment we had to pick a person and do an online interview. I will tell you I was a little uncomfortable doing this assignment because to pick someone out of the blue, wasn’t that easy for me. Especially, since I didn’t know what or if we had anything in common. This was during the COLDEST week in Minnesota so I of course used weather as a topic of interest. I did manage to chat with an individual from Saudi Arabia and the weather is nice there right now. I also met an Interior design instructor from a college in Wisconsin. She is going to take her class to Italy on a field trip. WOW – what a great hands on opportunity! Even though I was not sure of how this process would work, it is truly amazing to have conversations with people that are states and even continents away from you. Especially if you have grown up in Rural Minnesota. What I did like about the assignment is that it was then my job to introduce them to the class. This really helped me connect with them. So often, it is hard to really get to “know” someone online and this is a great way to assess who people are. 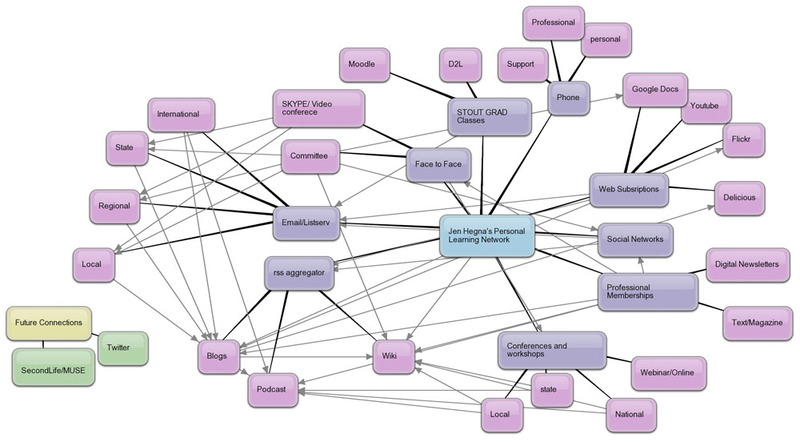 The use of Wiki’s is probably one of my favorite collaboration Web2.0 tools. Only a couple of years ago, I pretty much related a wiki to Wikipedia – just a bunch of people contributing to what they know to a big Encarta like site. I always kind of thought to myself – “why would I contribute, more than likely someone somewhere is going to know more about the topic and will probably erase what I wrote anyways.” So I did nothing. My “eureka” came to me when I was organizing our district’s summer institute last spring. We call it Bears Professional Growth Academy. (The bear is our mascot) In previous academies I would have presenters email me their presentations and I would manually build a website that contained presentations, handouts, and other resources. This took considerable time! 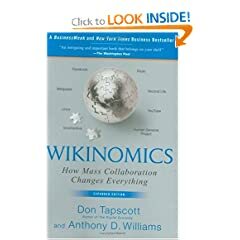 After attending a conference 2 winters ago, I seen that the conference had a wiki and it had appeared that they were letting the presenters post their own materials. Well HELLO? Why didn’t I think of that? So as I explored this wiki and used it during my classes I was attending, I was also free to explore the other classes that I didn’t have time to attend! It was amazing! 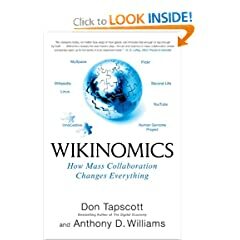 To often wiki’s are related only to wikipedia. I have utilized them in many different aspects and they can be a great way to organize and centralize information of your organization. I never realized that they could be an assessment tool too. For teamwork activities, the wiki might be a great way for students to research and gather information. My favorite wiki’s building sites are – Wetpaint, PBWiki, and Wikispaces. What are yours?